﻿He had them all – the James Bond girls and the incomparably smart Sean Connery. But also Marlon Brando, Michael Caine, Robert Redford and Jane Fonda, who all more or less danced after the director’s pipe, acted certainly with his music in their ears. 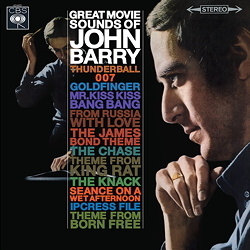 John Barry started his career in the most British manner possible – as a film composer in the service of Her Majesty Queen Elizabeth. The characteristic "Bond Theme" for Dr. No, with its mysterious, clacking guitar trailer supported by powerful brass, was indispensable for all following films and rang in the ears of the villains and their henchmen for all time.